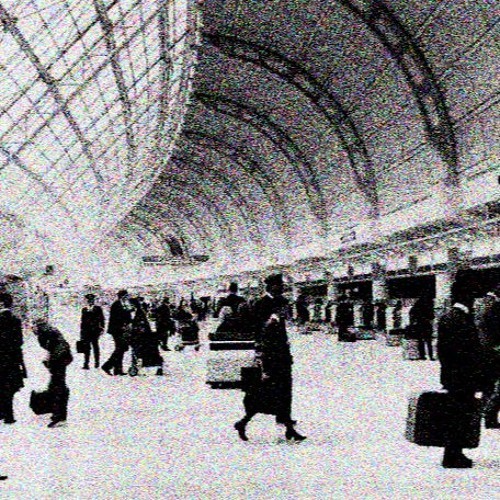 Long Format - ambient sound samples taken from busy airport (YYZ) boarding area (I've been wanting to do this for a while). Main track was put down days earlier right after attending a funeral. There's some intentional dissonance and polyrhythms to capture the subtext of tension that accompanies air-travel - i.e. a person can never 'really' relax until they are on the plane. This is also a metaphor for life and continual striving. The occasional Mellotron interlude is about nostalgia. The foundational track is organ with a bunch of doo-dadery added (delay, distortion, rotor, etc). There are some solemn moments that the organ represents - Death, mortality, mid-life, aging, etc. The Rhodes piano 3/4 of the way through captures the reverie aspects for me - fleeting (happy) recollections from a family visit over the holidays.